Welcome to our Auto BTC Builder Pros Team Website! We certainly are glad you are here and we know that you will be too. We have an amazing opportunity before us with Auto BTC Builder and by teaming up with us, the Auto BTC Builder Pros and our brand new, innovative “Partnership Concept” we know that this will be a great venture where everyone will not only have a clear vision but also have great success. For now, please explore all of the tabs on this website so that you can fully grasp our concept as well as how we will be moving forward. First you will want to get on our team calls, they are exciting, informational, educational and will motivate you to get going ASAP! Just click on the CONFERENCE CALL tab. When you are ready to join our winning team, please click on the GETTING STARTED tab and follow the instructions! We look forward to the possibilities of locking arms and working together with you! To Our Mutual Bitcoin Success! What a fantastic upline we have in Mr George Hoagland! He is doing 5 Live Calls a day, every day, 7 days a week & 1 Live Webinar a day, every day, 7 days a week. Now that is commitment! Please jump on at least one call/webinar every day to show support for our team. Our upline’s goals are upwards of 500 BTC a year… Now that is a great goal! The calls are a wealth of information… Mostly about Bitcoin, Goals, Motivation, Strategies & Testimonies. We promise you will learn something each and every time, as all calls offer something different! Besides that, it sure will help us all to feel a part of something so much bigger! We Are Always Looking For Team Players… Please make sure you are doing your part by staying in the know… Get on the calls, stay in touch with your upline leaders, read our updates and make sure you understand our Partnership Concept and strategies. 1. REVIEW: Please Take The Time To Review The Auto BTC Builder Website. 2. JOIN DETAILS: Please Fill Out This Form When You Are Ready To Join. 3. CONFIRM PAYMENT: Just Fill Out This Form Once You Have Sent .05 BTC To Join Our Team. You will need a BTC Wallet to get paid. Please sign up for a free Blockchain Wallet! You will also want a BitPay Visa card. Load your card and spend your BTC wherever Visa is accepted! Advertising is the lifeblood to building any business, and we have you covered for you on autopilot with our Exclusive Print Team Building Advertising Co-op! This co-op will run in the major home business magazines, including Home Business Advertiser, Home Business Magazine, Entrepreneur Magazine, USA Today, and others. The co-op will reach over 4,300,000 subscribers, exploding each and every participant’s business. The ad campaign is professionally created, yielding high prospect conversion results. The rule of thumb with advertising is to take at least 20% of your profits back into your business in the form of advertising. With this in mind, we are going to make this a fair, turnkey system by redirecting $150 of your Level 1 cycle earnings, $300 of your Level 2 cycle earnings, and $600 of your Level 3 earnings to the advertising co-op. This will help everybody on our team cycle… and earn faster! And as more and more members cycle, we will increase the media buy… Including full page articles (advertorials), full page ads in multiple publications. A win/win for each and every BTC Autobuilder Pros Team member. GET EXCITED! Below Is The Creative Full Page Advertorial We Will Be Running Every Month In 2018! Below is a teaser ad that you can use to help the team move even faster! Just edit the signature at the bottom. Everyone goes to the same link ABBpros there they will opt in and have access to our ABBpros Team Website and Getting Started Steps. Thanks in advance for helping to spread the word! Anyone who joins and uses your name as their referrer will be put into your organization. This is optional of course. Subject line to use: Brand New Partnership Concept To Gain All The Bitcoin You Want, Need & Desire! If You Do, You Will Be Greatly Rewarded! How Would You Like To Earn Bitcoin & Lots Of It Just By Partnering With Us? Win/Win situation for everyone who joins us in this venture. market or simply have not build up their database. it takes to make a ton of Bitcoin in a short amount of time. Will you be one of our 50/50 partners? We hope so! Time Is Of The Utmost Essence. This Opportunity Is Very Real & We Are Giving It A Rating Of 5 Out Of 5 Stars! 1. Owner/Admin – Top notch, proven success! 2. Compensation – Lucrative, simple and very effective! 3. Website Ease – Clear and concise! 4. Sizzle Factor – Bitcoin… Need we say more? 5. Precision – Just keep it simple, this is how people take ACTION! BONUS: Launched & Paying Bitcoin Instantly – Geez, do we really need to say more about that. DOUBLE BONUS: 5 Live Calls A Day, Every day! 1 Live Webinar A Day, Every day! WOW! Below is a banner to use that promotes the ABBpros Partnership Concept! Anyone that wants to help promote to move our team even faster can utilize this banner, it will point to our ABBpros opt-in form. ​​​​​​​Utilizing Our “Partnership Concept” To Ensure Success For All! Wow! What an exciting week we are having with the ABBpros! We want to Welcome & Congratulate all of our new members. 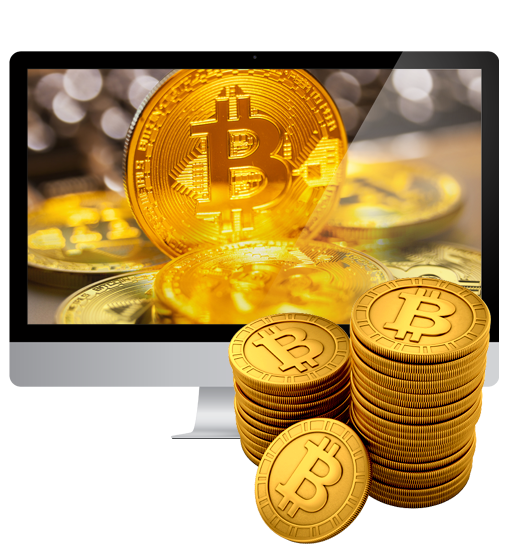 . .
We want to be Bitcoin Millionaires! Being around other people in the BTC world will keep our focus and enhance our knowledge of this amazing movement & APP opp’ty. ​​​​​​​Wouldn’t you agree with that? Just Click On The GETTING STARTED Tab! The calls are held by George Hoagland he is our sponsor’s sponsor! There is ALWAYS something different on each and every call. You will definitely glean something new we promise you that. George’s goal is to reach 500 Bitcoin in 2018! That is nothing short of amazing. Now what if you can hang with this guy? Wouldn’t that be awesome? Truly, we believe that it is. ON THAT NOTE… George will be in D.C., Boca & Miami this week. He may even take a quick trip to Jamaica. I am waiting to hear his schedule now and will let you all know as soon as I do. Anyone in these areas, please let me know ASAP. They are Educational, Informational, Inspirational & Motivational! The Auto BTC Builder Pros Marketing System was created by Sally Darling and Gail Rahill, stay-at-home single moms who each have been successful in the network marketing industry for more than 18 years. Sally and Gail’s vision is simple. To deliver a results driven, highly effective Marketing System that will enable you to promote you business opportunities under one roof; as well as brand yourself, setting you apart in the highly competitive network marketing arena. We thought that we’d give you a peek into Sally and Gail’s lives so that you can get to know them a bit better. Both Sally and Gail are stay-at-home moms who collectively have 25 years of network marketing experience. Sally attended the University of Missouri and UCLA where she studied Fine Art and Interior Design. As a Selling Director for Ralph Lauren on Rodeo Drive in Beverly Hills, gained tremendous retail sales and management experience prior to beginning her network marketing career. Gail has her Masters Degree in Advertising and Public Relations from Syracuse University and attended St. Bonaventure University, where she earned her Bachelors Degree in Journalism and Communications. Post graduate school, Gail worked for a New York City advertising agency, before moving back closer to home, where she then worked for a Rochester, NY, based advertising firm before opening her own PR and advertising consultancy. She became intrigued with the prospect of network marketing because she thought it was a career she could succeed at while working at home and raising her two girls.